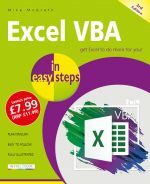 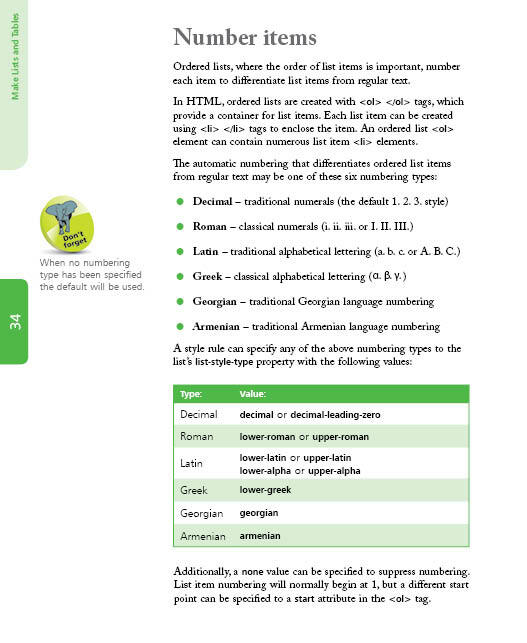 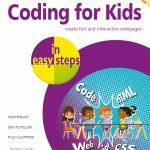 Coding for Kids in easy steps has an easy-to-follow style that demonstrates coding for web pages in clear examples. 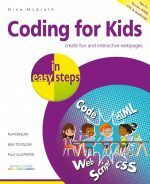 It begins by explaining how to make and test a basic web page, then demonstrates how to add text, pictures, links, tables, lists, and buttons to a web page. 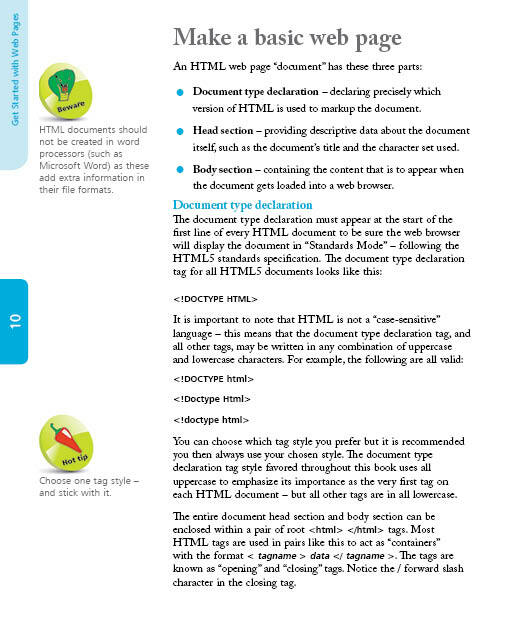 Next, children will learn how to specify content colour, font, position, and visibility. 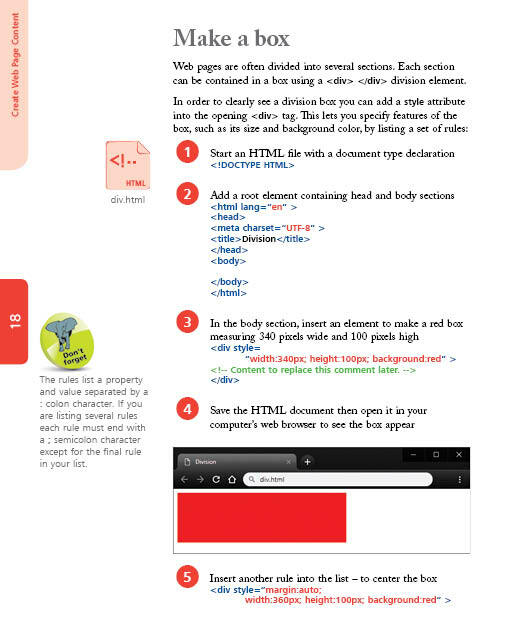 The book then shows how to add functionality so that web pages can react to user actions. 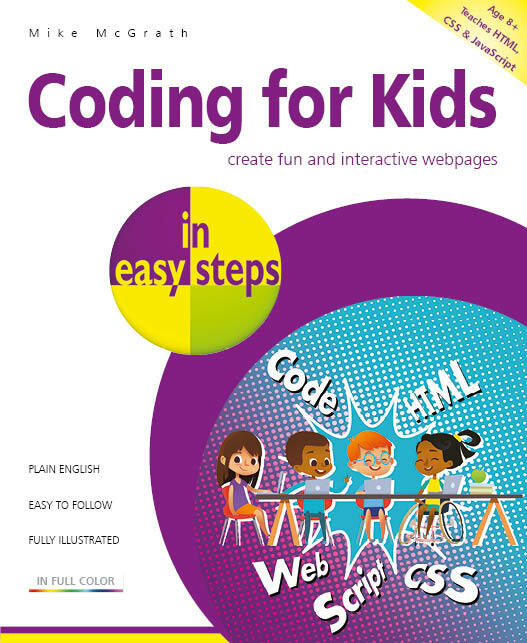 The final chapter brings everything together with a step-by-step example that builds a fun web page containing an interactive game for PC, tablet, or smartphone.